Lancing is a form of water blasting designed to clean severe scale residue on the inside of process piping. Specialized water blasting equipment and specially trained technicians can handle jobs of all types. 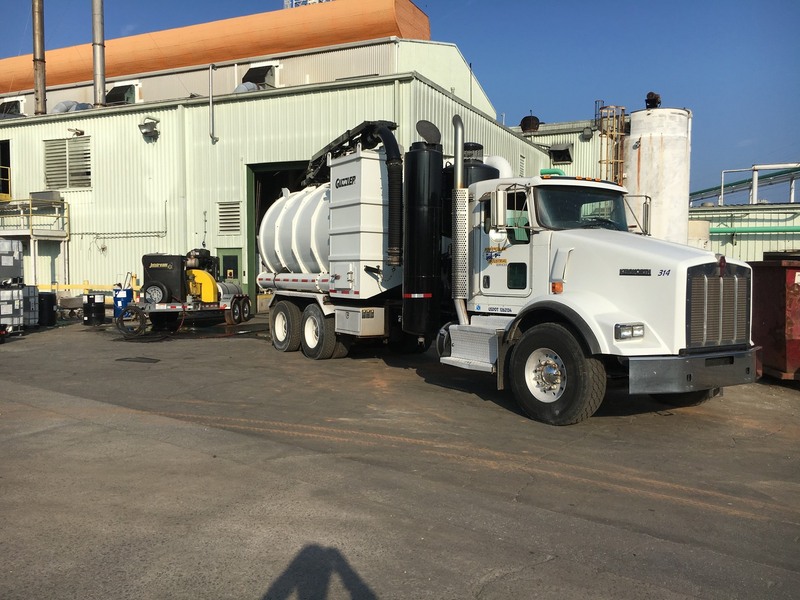 Regardless of the length and direction of travel or tight bends in pipes, the experts at Power Clean Industrial Services can safely and efficiently handle your water blasting projects. Water pressures up to 40,000 p.s.i and flow rates up to 300 gallons per minute make quick work of industrial cleaning jobs. To comply with environmental services standards and regulations, water blasting is often used in conjunction with vacuum trucks. Concern for the environment is important to everyone and a key benefit to using Powerclean Industrial. Every water blasting job is completed with safety and efficiency as top priorities Powerclean combines the latest equipment with expertly trained technicians to provide the best water blasting value. Whether your job is routine maintenance or an emergency service, Powerclean Industrial Services is your best choice. For the best in water blasting and all industrial cleaning contractor and environmental services call Powerclean Industrial Services. Powerclean meets all OSHA and environmental regulations for water blasting and all its industrial cleaning contractor services.